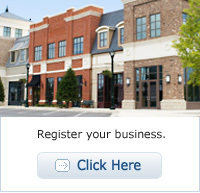 Welcome to the Monroe County Veterans Discount Card Program Website. This program is an initiative between Monroe County, the Veterans Outreach Center and local merchants to recognize and thank our County’s more than 60,000 veterans, reservists and individuals serving on active duty. 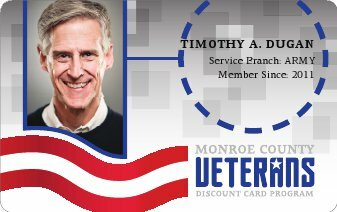 Under the Monroe County Veterans Discount Card Program, honorably discharged veterans* will be issued an identification card by the County that identifies them as a veteran. How to obtain your MC Veterans Discount card. *According to US Code Title 38, Chapter 1, a veteran is defined as "a person who served in the active military, naval, or air service, and who was discharged or released therefrom under conditions other than dishonorable." In the same Chapter of the law under section 23, the term active is defined as "full-time duty in the Armed Forces, other than active duty for training."